With Thanksgiving less than a week away, dreams of green bean casserole, sweet potato souffle and pumpkin pie have been dancing in my head. 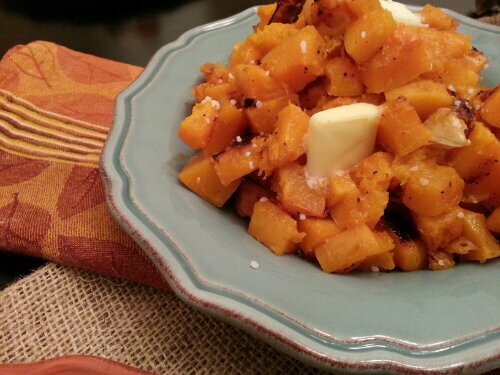 I’m always looking for an unexpected, colorful side dish to add to the table though, and my Honey-Roasted Butternut Squash dish fits the bill. Often pureed for soups and casseroles, butternut squash is a winter squash with a sweet, nutty taste similar to its cousin pumpkin. 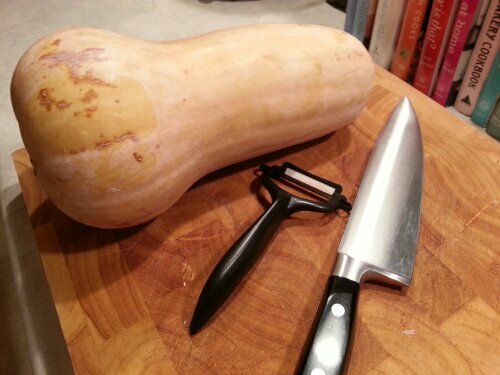 The hardest part about this recipe is peeling and dicing the squash, which really isn’t hard at all. 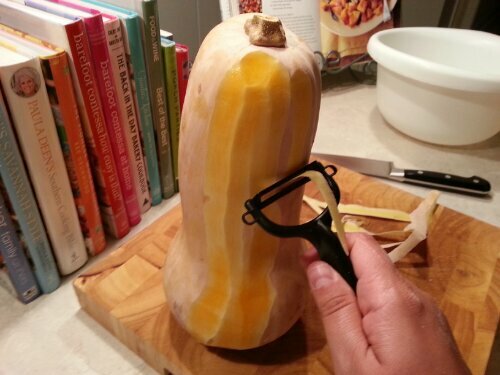 You’ll need a sharp knife and a vegetable peeler. Remove the peel from the hour-glass shaped gourd. Then scoop out the pulp. 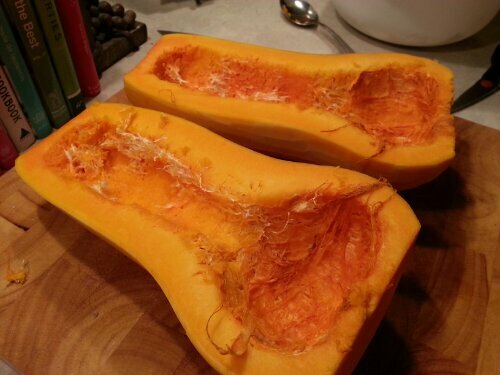 The butternut squash has a yellow skin and an orange, fleshy pulp. The squash becomes sweeter and richer as it ripens. 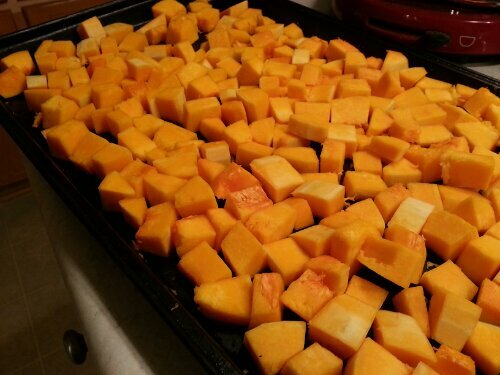 Dice the squash into 1-inch cubes and place in a single layer on a baking sheet. 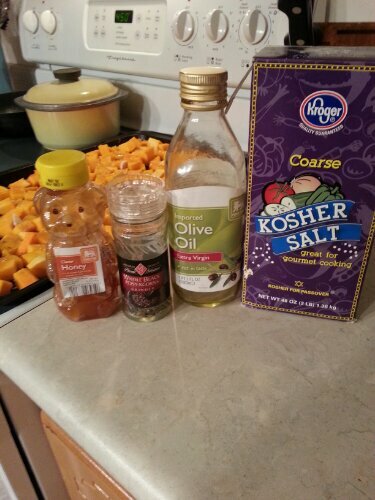 Drizzle the squash with extra virgin olive oil and honey, then sprinkle with kosher salt and freshly ground black pepper. Also, throw in a few unpeeled cloves of garlic for added flavor. Roast the squash at 450 degrees for 30 minutes. Serve it up by adding a little butter, then finish the dish with a sprinkle of kosher salt. 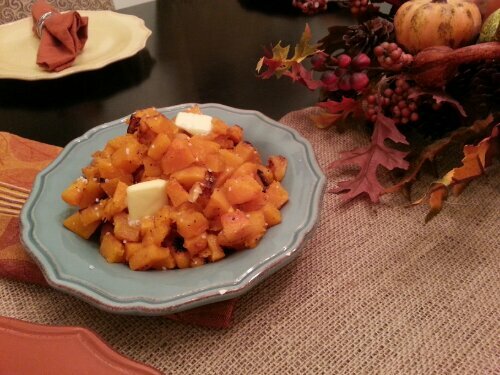 My Honey-Roasted Butternut Squash is sure to melt in your mouth and provide a nice pop of color for your plate! Check out the health benefits of eating this power food from Whole Living.